CDM got the chance to partner with developer Accusonus to help introduce this way of working. And it is a somewhat new approach: you’re separating audio components from rhythmic material, starting with a stereo file. It’s new enough that you might not immediately know where to begin. So, to get you started, we’ve collaborated on a tutorial and a sound pack. Then, the trick is really understanding the different creative possibilities of Regroover’s toolset. I put together a video – the challenge to myself being really to take a generic sound and do something new with it. I usually ignore all those loops that come with music software, but here it wound up being useful. Sure, I could have programmed my own loop here from scratch, but by working with Regroover, I got to chop up the groove/rhythmic feel and sounds themselves, independent of one another. First, to load the sound pack we’re giving you, choose “load project.” Then navigate to your download, which is grouped by different kits and loops (yeah, there’s a lot of stuff in there). Second, check tempo settings. Sometimes it’s necessary to halve or double the detected bpm, just as in other time stretching tools. Also, you need to manually sync to the host tempo any time it changes – that’s because it takes a moment for those machine learning-powered algorithms to analyze the file. You may want to transform the default analysis. The “split” tool allows for some creative manipulation of the number of layers, and how dense different layers are. Not all Regroover manipulations have to be radical. 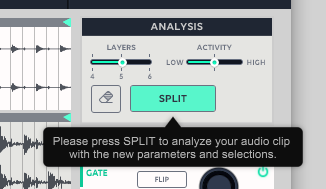 You can start out just by emphasizing or de-mphasizing portions of the loop – adjusting its relative amplitude and mid/side and left/right panning. 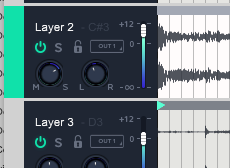 I suspect some of you will be happy just making subtle modifications to loops and otherwise leaving them as-is; if you don’t change the tempo, those will sound fairly close to the original. But this is still really different than the usual EQ and compression tools available to you. As I demonstrate in the video, you can create polyrhythms inside an existing loop by adjusting in and out point on each layer. Again, that’s normally impossible with a stereo audio mix. 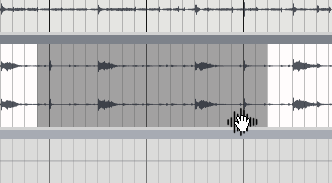 You can pull out individual portions of a sound by double-clicking, then dragging a selection. 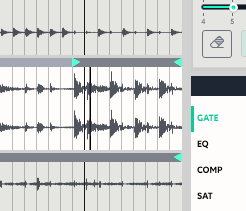 From there, you can drag and drop either into Regroover’s own sampler facility, or back into a host/DAW like Ableton Live. 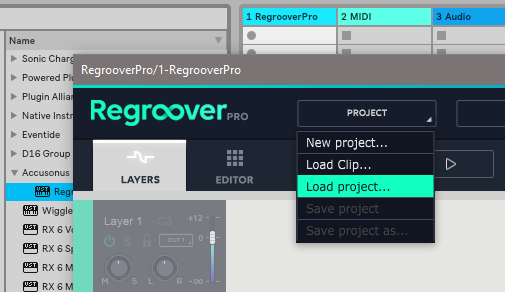 You may want to check out Regroover’s built-in sampler tools. 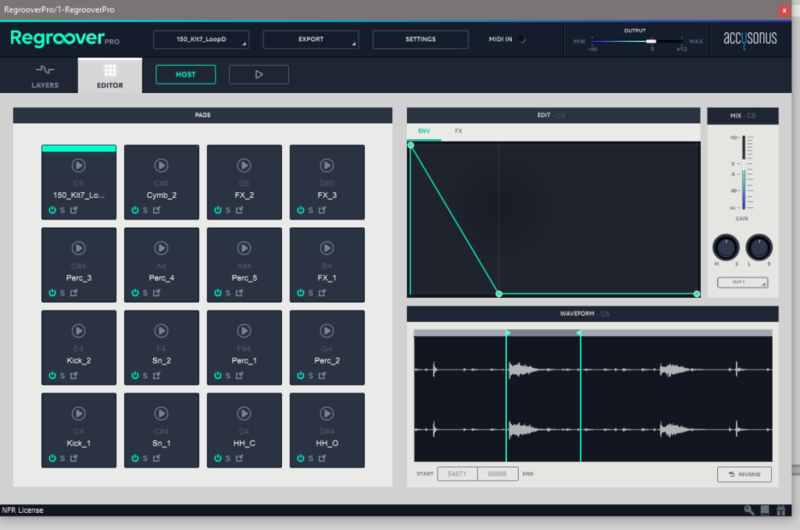 You’ll find all the usual facilities for amplitude envelope and so on, and you can create a playable pad of sounds you’ve extracted from a loop. 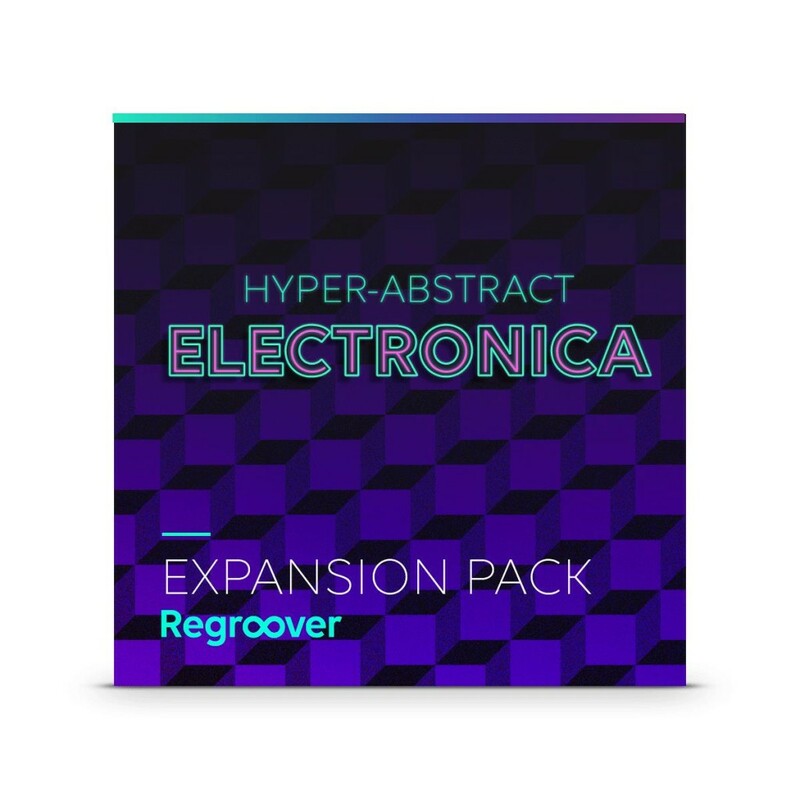 Just for you, we’ve got a sound pack entitled “Hyper Abstract Electronica.” It’s the work of London/Surrey artist Aneek Thapar, who has an extensive resume in mixing, mastering, and teaching, and has also worked with Novation and Ninja Tune’s iOS/Android remix app Ninja Jamm. Aneek created something that’s really special, I think, in that it seems perfectly suited to creative abuse inside Regroover. Putting the two together makes this feel almost like a unique instrument. The 800MB sound pack is free; we’ll add you to our respective newsletters (which have opt-out options, of course). I am actually really, really interested if people make any music with this, so please don’t be shy and do send us tracks if you come up with something. (If you aren’t ready to invest, of course, you’ve got a nice 14-day deadline to keep you productive!) I’ll share any really good ones with readers. Diclosure: Accusonus sponsored the creation of this content with CDM.